Westminster Christian School was founded to provide education for children of Christian families, using a Christ-centred curriculum. We are an inter-denominational, state-integrated, co-educational Christian school for pupils from New Entrant to Year 8. Class sizes vary according to levels but do not usually exceed 25 students. and eternity by providing a Christ-centred academic curriculum founded on a Biblical World View. To be a leading primary/intermediate school in New Zealand Christian Education, built to full capacity and reaching out to those in need. 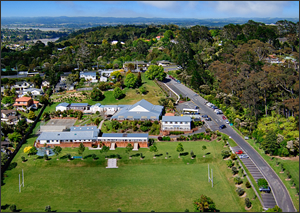 Our school is set on a sunny, 2 ½ hectare site in Albany, on Auckland’s North Shore. Our clean environment and well-established trees provide a peaceful backdrop to modern buildings, classrooms and playgrounds. The school can be reached from West Auckland via Upper Harbour Highway (SH18) and Albany Highway. From the East Coast Bays, North Shore and central/south Auckland suburbs, take the Constellation Drive motorway exit then onto Unsworth Drive. See location map here >>.